Anyone for a Nokia 3310 upgraded with 4G? The Nokia 3310 is a relaunched classic handset, but that no longer means moving slow like you’re in the past, thanks to a 4G upgrade. 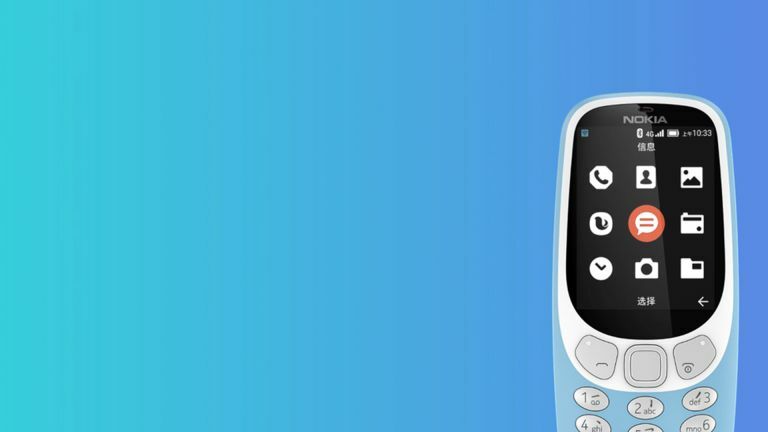 HMD Global has announced an upgraded 3310 that will pack in 4G and more. At this stage this is an announcement out of China but expect to hear more on international availability at Mobile World Congress 2018 in February. The new Nokia 3310 4G is available now in China packing two colour options of Fresh Blue and Deep Black. The internals are different, too, on a software level at least. The new 3310 runs YunOS, which is a forked version of Android created by China’s Alibaba – a step up from the previous Java based Feature OS then. The Nokia 3310 4G also features a 2.4-inch QVGA colour display meaning a 240 x 320 pixel resolution. The phone is powered by 256MB of RAM and has 512MB of storage expandable to 64GB with a microSD card. The old school specs don’t stop there as the camera tops out at 2-megapixels but does have an LED flash. All that low powered tech means a meagre 1200 mAh battery should do the trick of giving you that claimed maximum 15 days of standby power. The handset also offers micro-USB, a 3.5mm audio jack, 4G VoLTE, Wi-Fi 802.11 b/g/n, Bluetooth 4.0 and an MP3 player plus FM radio onboard. Pricing and international release dates have not been announced at this stage but expect to hear more at the end of February from MWC 2018.